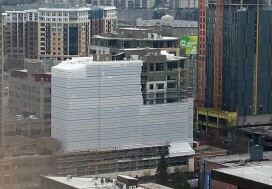 This last month Marco was able to participate in a hard hat tour at Insignia in Belltown, the new construction condo tower being constructed on 5th and Battery. 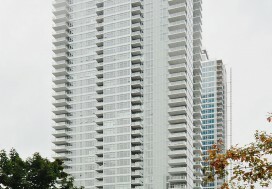 He was able to see the spaces and views first hand and it was a great way to get a more accurate feel for the building. 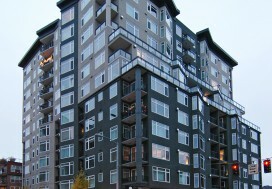 If Insignia is of any interest to you and you want to schedule a time to see the sales center or just chat about the project, shoot us an email. 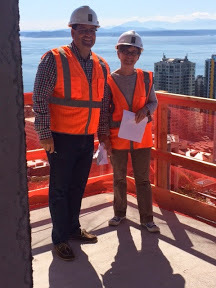 Marco is pictured with our wonderful client Ann from the 33rd floor of Insignia taking in the breathtaking views.